There are many ways to get in on the real estate action in the Telluride area. Depending on what’s available, there are many different possibilities that may fill your desires. Quite often an interested buyer starts out with an idea of what he or she wants that turns out to be far from what that person winds up owning. This is often due to the fact that the client never had a good idea of the many available market options. 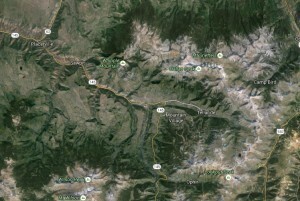 Following are quick synopses of price and availability of the different types of Telluride real estate offerings. You may find some new forms of real estate ownership intriguing. Generally, the farther you go from the town of Telluride, the cheaper are the prices. Mountain Village and Telluride are usually considered the best locations and therefore have the highest priced lots and houses. 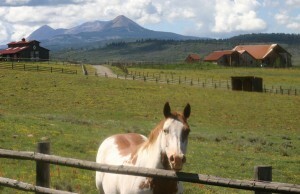 Aldasoro Ranch and Mountain Village have larger lots, bigger houses, and more privacy. Some of the older subdivisions such as Hillside, Ski Ranches, and Last Dollar are out of town and less expensive than Aldasoro and Mountain Village. Further out of town in Placerville, Ophir, and Sawpit you will find even lower priced land and homes. From 2 acres to 1700 acres in size, these ranches offer wonderful getaways for those who love open spaces, privacy, beautiful views and western outdoor living. Some have homes already; others are just waiting for you to build your dream house! Condominiums – From $300,000 to $3.9 million. Located primarily in Telluride and Mountain Village, condominium projects offer a number of varieties and choices. The lower priced condos have been gobbled up over the last few years, therefore creating a dearth of supply and price jumps. Several new projects with very high-quality finishes and large square footage are priced from $500,000 to $1 million. These are located both in Telluride and in Mountain Village. There are several very capable management companies in the area that can handle rentals of your condo when you are not using it. This is a great way to defray some of your ownership expenses. Fractional ownership is very rapidly becoming a popular alternative to single ownership of vacation property. A condominium or home is divided into “shares” (usually from 4 to 10). Each buyer acquires fee simple title to his/her share of the property and gets to use that property according to a predetermined (and adjustable) schedule. Membership in the golf club or the spa, ski passes, and a myriad of other privileges often go along with ownership. It’s like becoming a member of a club. The advantage is that you get all the perks of membership, plus the re-saleable ownership of a portion of an expensive piece of property, for a fraction of the cost. The disadvantage is that you do not own your unit entirely and do not have total say in what can be done with it – only during your weeks of ownership. Furthermore, since fractional ownership is a relatively new concept, the resale value of your share is not entirely certain, although many have already been re-sold at handsome profits. 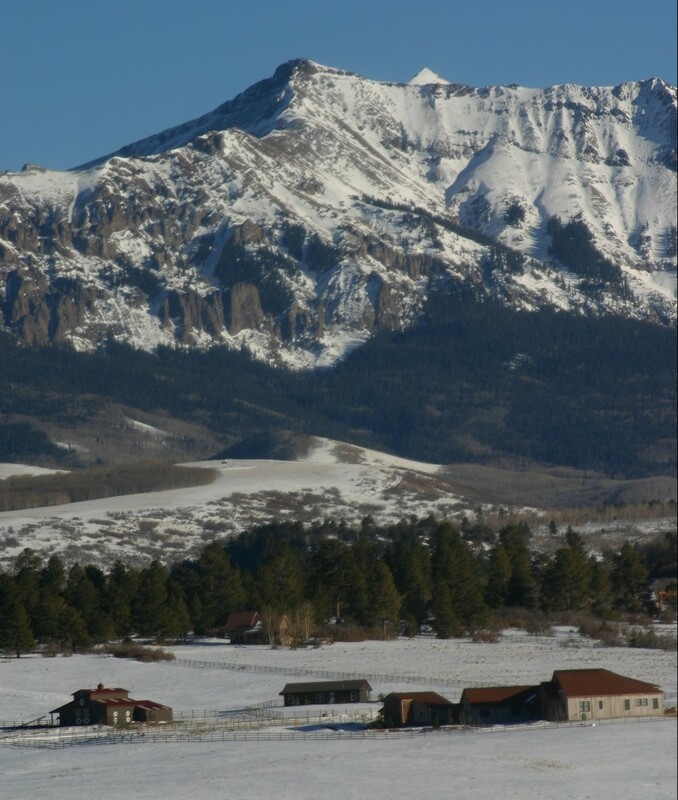 The few remaining lots in the town of Telluride are generally small (.05 acre to .96 acre) and cost approximately $200 per square foot or approximately $900,000 for a single 25 foot wide lot. There are not very many available for sale. In Mountain Village, vacant lots run from 1/5 acre to 6.0 acres in size and are priced from $299,000 to $2.5 million. Ski-in/ski-out lots are the most desired and most expensive whereas vacant lots around the golf course offer huge mountain views and open spaces. In the surrounding subdivisions, vacant lots are larger – roughly from 1/2 acre to 6 acres – with prices from $250,000/acre to $400,000/acre depending on size, views, location, terrain and vegetation. Several “ranchdivisions” (subdivisions with 35 acre parcels) are within 15 minutes drive of Telluride and offer seclusion and privacy while being very close to the “action”. These also offer tremendous views and run from about $2M to $3.5M in price. For people who live and work in Telluride, there are some properties restricted by their zoning, which keep the prices at lower than free market prices. These parcels are “deed-restricted” to ownership by employees only. The prices started below market when originally designated and have remained lower than market prices when compared to similar properties. Two subdivisions that have high concentrations of deed-restricted property are Lawson Hill near Society Turn and The Meadows area of Mountain Village.